Arazo Nutrition White Kidney Bean Extract Review - Does It Work? Anyone who enjoys a carbohydrate-rich diet will know that shedding a few pounds can be difficult especially when you enjoy indulging in carbs. Carb blockers are taking the supplement industry by storm which has made it very difficult to differentiate between what works and what doesn’t. This review of Arazo Nutrition White Kidney Bean Extract has been conducted in order to provide you with all the important information you need to know. Arazo Nutrition advertises that their formulation of white kidney bean extract promotes weight loss, assists with starch blocking, burns fat and boosts your metabolism. 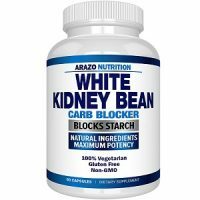 What’s in Arazo Nutrition White Kidney Bean Extract? As the name suggests, white kidney bean extract is the only active ingredient in this formula. This extract is said to help with weight loss as it prohibits the breakdown of starch, allowing it to be passed through the body instead. White kidney bean extract is commonly used in most carb blocker formulas but research has shown that optimal results are obtained when it is combined with other active ingredients such as Chromium and Chitosan. 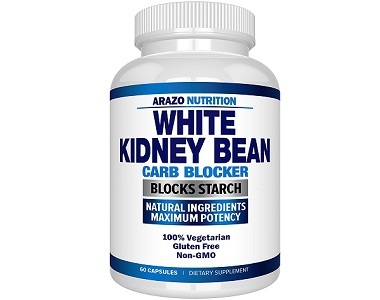 How Do You Use Arazo Nutrition White Kidney Bean Extract? The suggested serving size is 1 capsule which should be taken before your two largest meals. This essentially means 2 capsules should be taken on a daily basis. This formula offers a lower dose in comparison to most leading brands which may mean that your ideal weight may not be achieved. 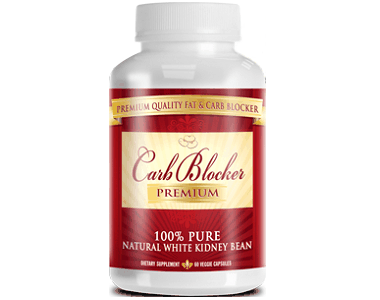 A single bottle of White Kidney Bean Extract costs $15.95 online for a 60 capsule count. You can purchase this product via third-party suppliers or directly from the manufacturer. We found specials with promo codes that can be used to get up to 20% off on the retail price. We were unable to find any details about a guarantee but there seems to be one in place when looking at the product label. We cannot confirm if any funds will be returned to consumers who are not satisfied with this product. After reviewing this product there are a few things that we liked about this product such as the affordability and that it is free from allergens. With that being said, we have a few concerns about this product as well. Based on the research we found, we feel that this product may not be as effective without supporting ingredients like Chromium or Chitosan. We were also disappointed to find that the formula contains fillers which are known compromise the quality and effectiveness of the kidney bean extract. We turned to the satisfaction guarantee hoping to find some confidence in this formula but we were disappointed to see that Arazo Nutrition has not taken the effort to mention anything about this policy.